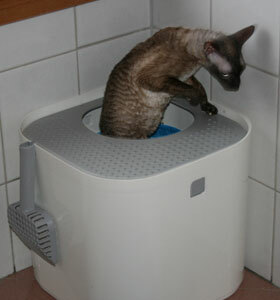 The cats seem happy with their new litter box. This one has an opening on a top of it and a special design in hope that most of the material stays inside or on top of the box and not everywhere else in our home. 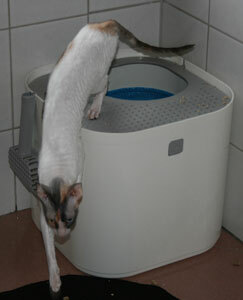 And I must say that it works, even if sand is a better material to use in it than our choice of CAT'S BEST ÖkoPlus.